During the B Corp Summit in Amsterdam, we launched the B Inspired (note)book. A book filled with 35 stories from people making an impact through the work they do. But at the same time, it is a notebook! This is a yearbook, where we will feature different people every year. 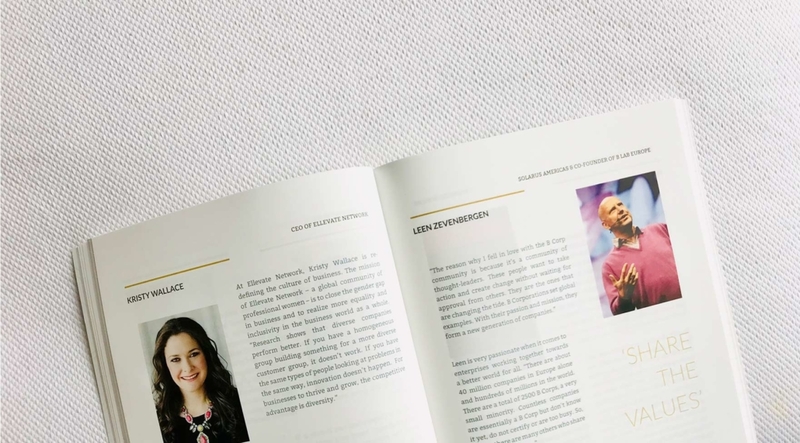 To give you an impression of the stories in the 2018 B Inspired book, we share the story of Leen Zevenbergen, co-founder of B Lab Europe. “The reason why I fell in love with the B Corp community is because it’s a community of thought-leaders. These people want to take action and create change without waiting for approval from others. They are the ones that are changing the tide. B Corporations set global examples. With their passion and mission, they form a new generation of companies.” Leen is very passionate when it comes to enterprises working together towards a better world for all. Buy your copy of the B Inspired (note)book here, or click here for more information on purchasing custom made books!